This really annoying problem has been happening recently more and more. In case you haven’t came across this problem – lucky you i say. But i guess otherwise you probably wouldn’t be reading this article. Hard to tell which side is to blame, but this is not about pointing fingers. And it will keep happening every time you press that SHIFT key. You might try to change the settings in the Ease of Access Center, but to no avail. But here’s a little secret, that can save you a little bit of the sanity you have left. I admit this work-around is a result of pure luck. I accidentally miss–clicked once, that led to this discovery. 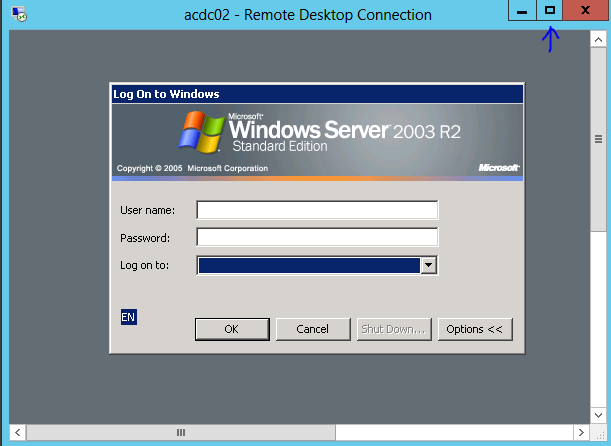 Just when you want to start typing in the keyboard (and i hope you use some capitals and special characters), just resize the RDP window – you know that little middle icon on the right top side of the window. 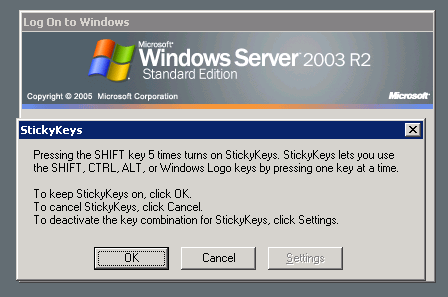 Once you do that, no more annoying sticky keys! After you log in, you can maximize the windows again, and work away. And just a side note – if you are logged in, this doesn’t seem to be happening any more.